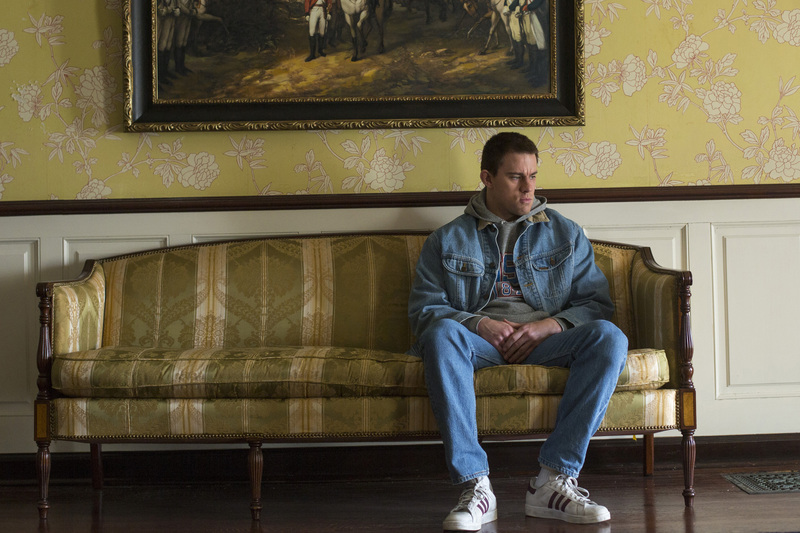 Channing Tatum's performance is a marvel of physicality, and surely one of the best we'll see all year. Mesmerizing story.Bennett Miller's most ambitious and most successful work. 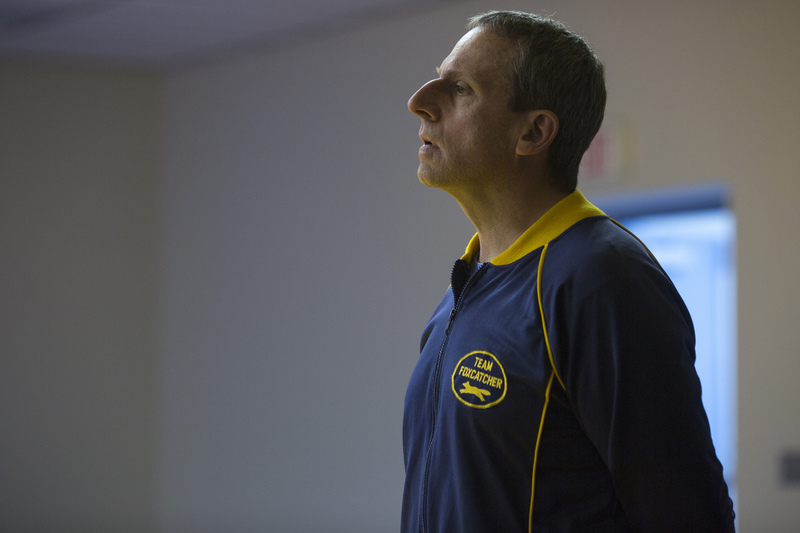 ...the picture builds a slow-motion tragedy of astounding psychological acuity and narrative tension. 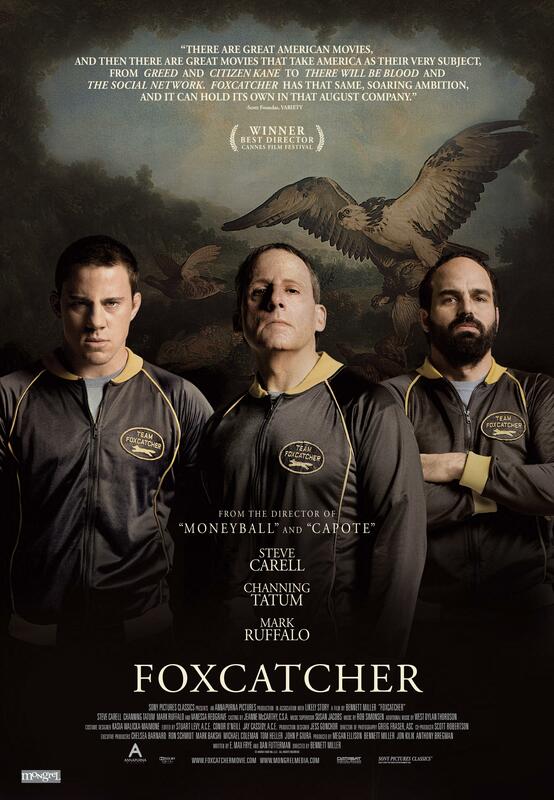 Le réalisateur de CAPOTE et MONEYBALL réussit un troisième coup de maître consécutif avec ce brillant opus. 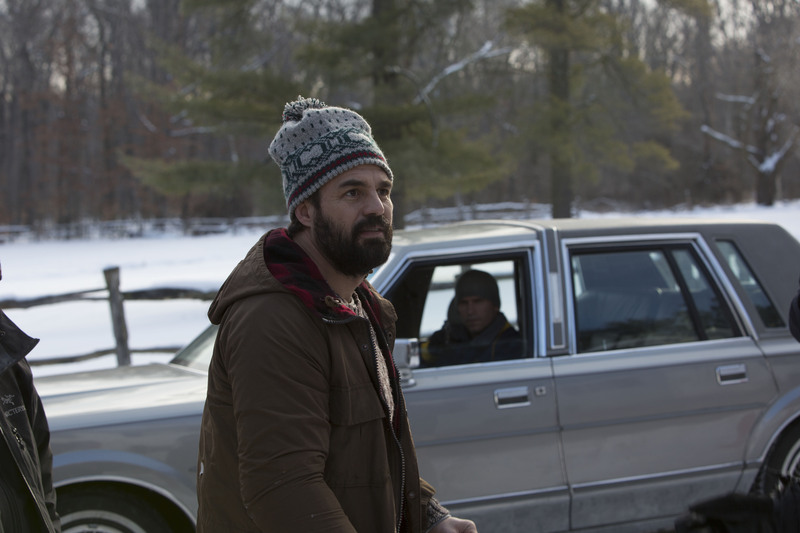 Un drame poignant, filmé de brillante façon, avec des acteurs transcendant les personnages. Based on true events, FOXCATCHER tells the dark and fascinating story of the unlikely and ultimately tragic relationship between an eccentric multi-millionaire and two champion wrestlers. FOXCATCHER is a rich and moving story of brotherly love, misguided loyalty and the corruption and emotional bankruptcy that can accompany great power and wealth. 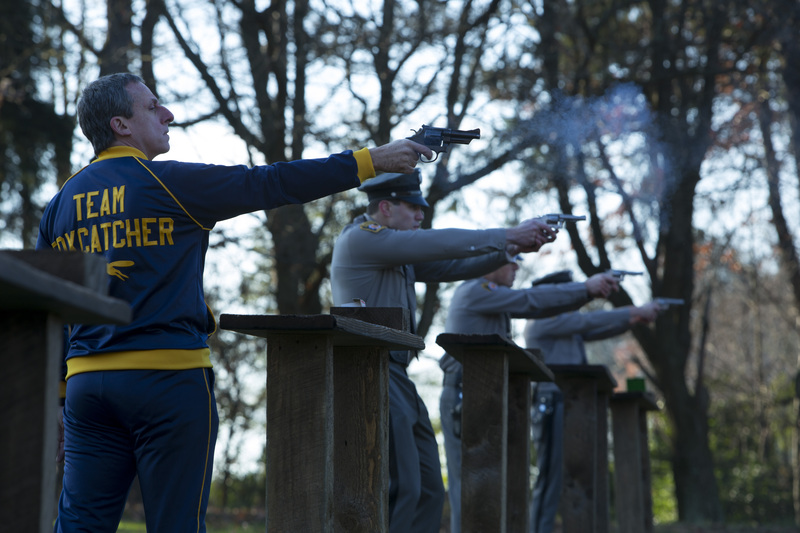 As with Academy Award nominee Bennett Miller's previous feature films, CAPOTE and MONEYBALL, he explores large themes in society through his complex character portraits of real people. 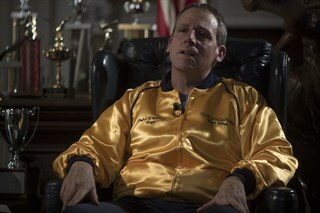 Steve Carell as John du Pont.Photo by Scott Garfield, Courtesy of Sony Pictures Classics. 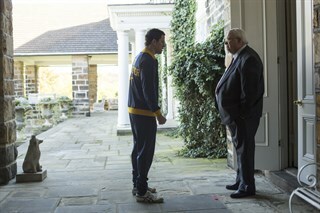 Left to right: Channing Tatum as Mark Schultz and Mark Ruffalo as Dave Schultz.Photo by Scott Garfield, Courtesy of Sony Pictures Classics. 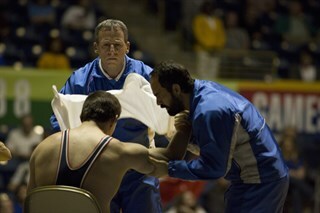 Mark Ruffalo as Dave Schultz.Photo by Scott Garfield, Courtesy of Sony Pictures Classics. 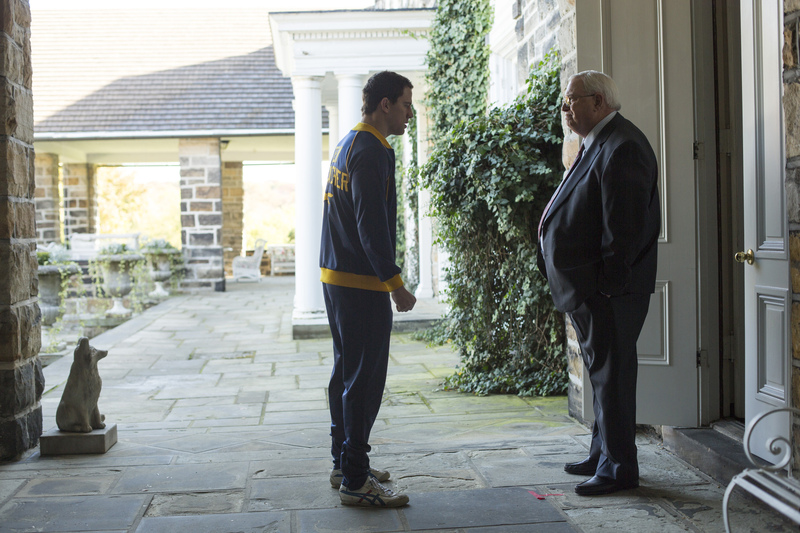 Left to right: Director Bennett Miller and Steve Carell.Photo by Scott Garfield, Courtesy of Sony Pictures Classics. 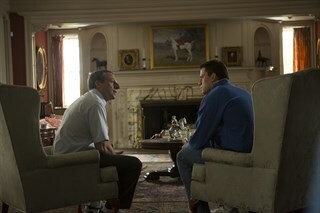 Left to right: Mark Ruffalo as Dave Schultz and Steve Carell as John du Pont.Photo by Scott Garfield, Courtesy of Sony Pictures Classics. 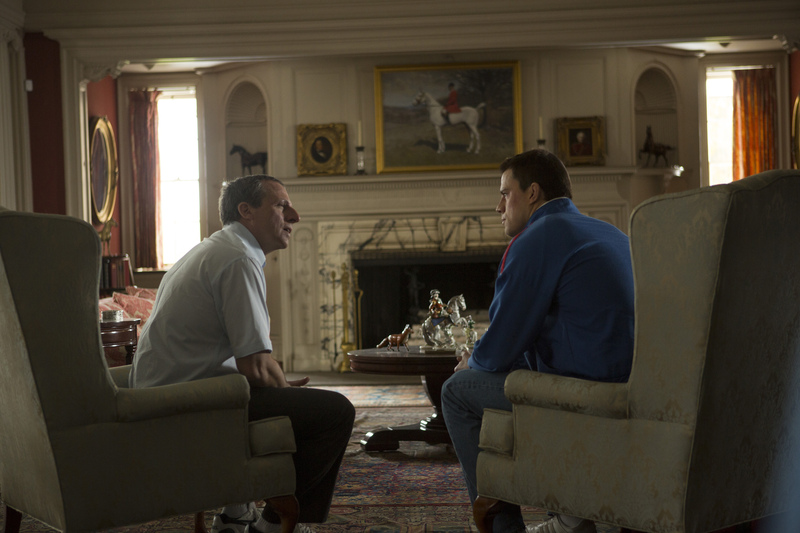 Left to right: Steve Carell as John du Pont and Channing Tatum as Mark Schultz.Photo by Scott Garfield, Courtesy of Sony Pictures Classics. Left to right: Channing Tatum as Mark Schultz and Guy Boyd as Henry Beck.Photo by Scott Garfield, Courtesy of Sony Pictures Classics. Left to right: Mark Ruffalo, Director Bennett Miller and Producer Megan Ellison.Photo by Scott Garfield, Courtesy of Sony Pictures Classics. 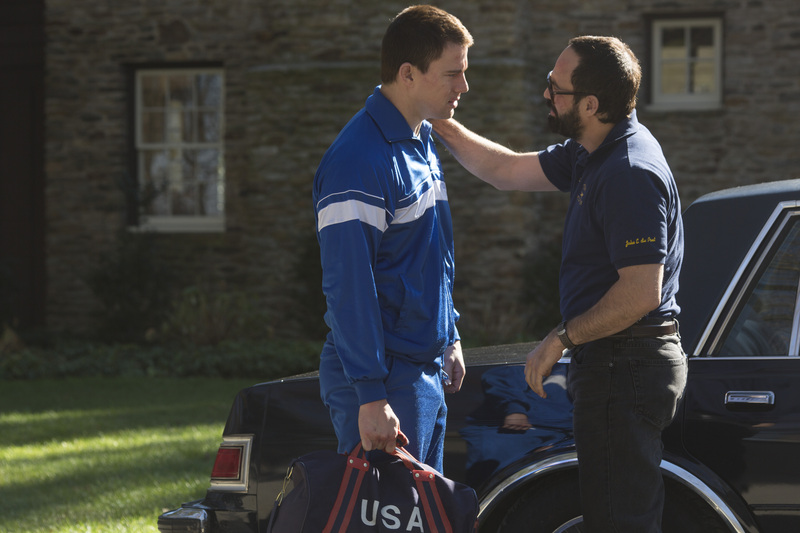 Left to right: Steve Carell, Mark Ruffalo, Channing Tatum and Director Bennett Miller.Photo by Scott Garfield, Courtesy of Sony Pictures Classics. 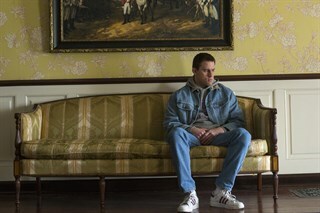 Channing Tatum as Mark Schultz.Photo by Scott Garfield, Courtesy of Sony Pictures Classics. 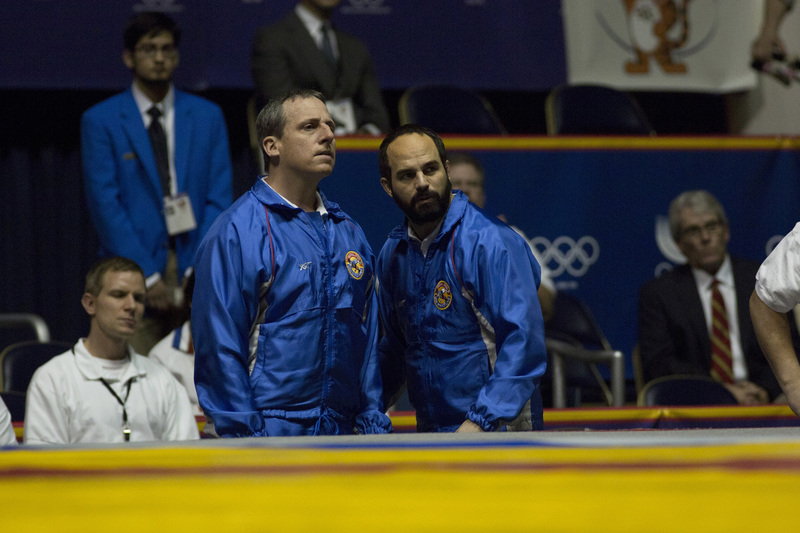 Left to right: Steve Carell as John du Pont and Mark Ruffalo as Dave Schultz.Photo by Scott Garfield, Courtesy of Sony Pictures Classics. Left to right: Director Bennett Miller, Mark Ruffalo and Channing Tatum.Photo by Scott Garfield, Courtesy of Sony Pictures Classics. 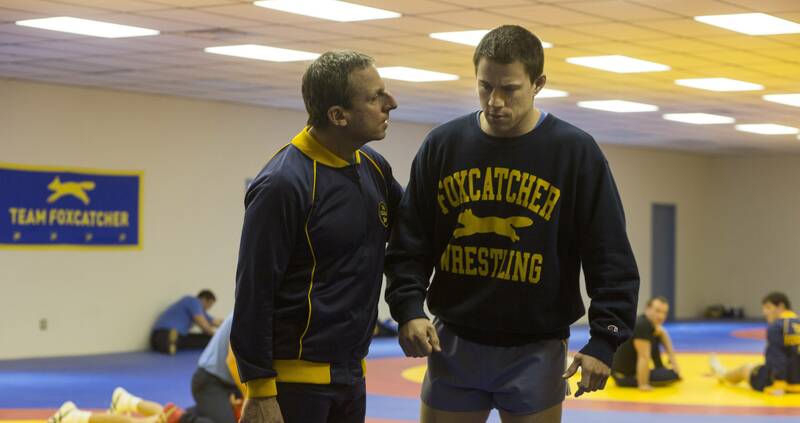 Left to right: Channing Tatum as Mark Schultz, Steve Carell as John du Pont and Mark Ruffalo as Dave Schultz.Photo by Scott Garfield, Courtesy of Sony Pictures Classics. 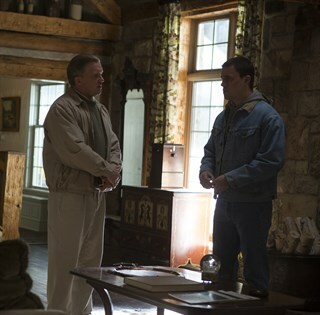 Left to right: Anthony Michael Hall as Jack and Channing Tatum as Mark Schultz.Photo by Scott Garfield, Courtesy of Sony Pictures Classics. 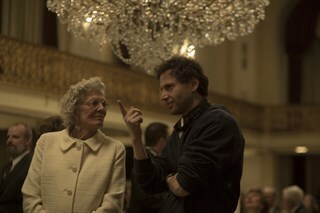 Left to right: Vanessa Redgrave and Director Bennett Miller.Photo by Scott Garfield, Courtesy of Sony Pictures Classics. 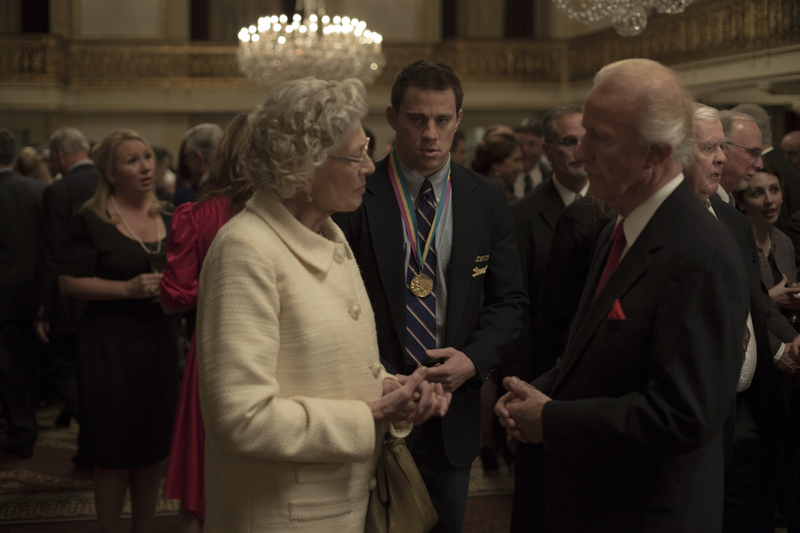 Sienna Miller as Nancy Schultz.Photo by Scott Garfield, Courtesy of Sony Pictures Classics. Left to right: Vanessa Redgrave as Jean du Pont and Channing Tatum as Mark Schultz.Photo by Scott Garfield, Courtesy of Sony Pictures Classics.